Our philosophy is quite simple. We believe that we sell simply the best Bathrobes, Dressing Gowns and Towels that money can buy!! 100% Cotton Luxury Bathrobes in super soft and absorbent Terry Towelling or fine pique cotton. 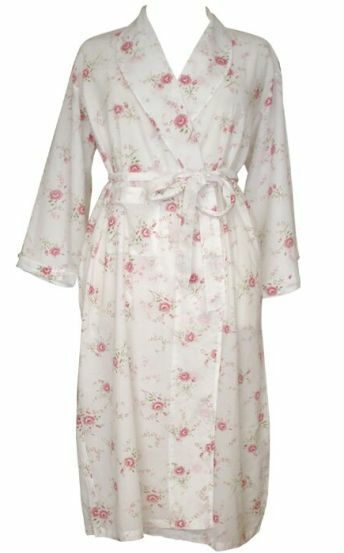 Shawl Collar Bathrobes, Hooded Bathrobes, Kimono Bathrobes, Ladies Dressing Gowns, Children's Dressing Gowns, Egyptian Cotton Bath Robes, Luxury Bamboo and Combed Cotton mix Bathrobes, Mens bathrobes, Unisex Bathrobes - and gorgeously soft combed cotton Towels all in a vast array of colours and sizes and, above all, in fabulous quality at very discerning prices... Need we say more?! So look around our site , compare us with the competition and you will find substantial savings on Luxury Bathrobes and Terry Towels! With many years experience of supplying many leading brands we are delighted to now offer you the chance to buy our fabulous Towels , Bathrobes and Dressing Gowns direct at fabulous prices..
Take a look at our Mediterranean Classics collection of fabulous velour faced Bathrobes and jacquard woven Bathrobes in all sizes and lengths. This is German Engineering at its very best!! Designer Bathrobes without the designer prices! CHECK OUT OUR NEW UPDATED RANGE OF INDULGENCE SUPER MICRO FINE COTTON SHAWL COLLAR BATHROBES. LUXURIOUSLY SOFT AND WARM FOR THIS CURRENT COLD SPELL. GENEROUSLY CUT FOR THAT WONDERFUL SNUGGLY FACTOR AND UNSURPASSED FOR QUALITY AND VALUE. 100% Combed Egyptian Cotton Luxury Bathrobe – fabulously soft , warm and very luxurious in a 500gsm weight – guaranteed to keep you toasty this winter! The softest velour bathrobe in 100% Cotton - Shawl Collar - Unisex - terry towelling inside for maximum absorbency. Our lovely new Children's Hooded Robes in soft 100% cotton. Our most popular crisp White Waffle Kimono replicated in miniature for the “little people” in your life that love to emulate Mummy & Daddy! 100% Cotton Terry Towelling Hooded Robe available in 7 colours with contrasting stitching detail to facing and belt. Our Luxury Shawl Collar Velour Bathrobe in 100% pure cotton. checkout through RBS WorldPay. We accept the following credit cards. Why not treat your loved one this spring with a gorgeous gift that will keep on giving for years to come. Our super soft generously cut 100% Micro Cotton Shawl Collar robes are the perfect winter warmer. Unsurpassed for superb quality and value. A very special offer for a Winter Warmer! To guarantee your online security you checkout through RBS WorldPay. If you require a larger quantity of Bathrobes or towels, or your own custom designs please call our experts for details. Shipping is charged at £5.00 up to 20kg for UK Mainland Only. For Ireland, Highlands, Islands and all Overseas orders, please call for quote on carriage.before placing your order.